Bible Story: Proverbs 25:16. Too much of anything, even if it’s a good thing, can have serious consequences. Bottom Line: Know when to stop. 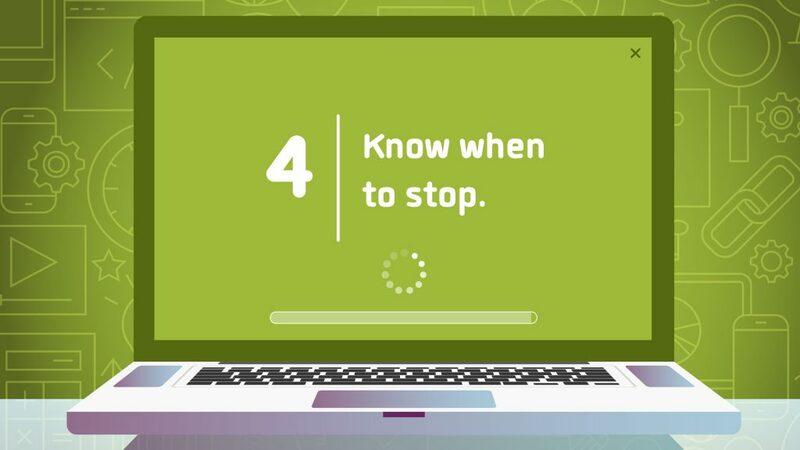 Knowing when to stop isn’t always easy. Sometimes stopping something—even if it’s fun—can be the wisest choice! Key Question: How do you know when to stop? We don’t always know it’s time to stop until it’s too late. Become more self-aware about the times when you need to trust God to help you stop. A Widget is a cool, concrete, take-home item for families to use. This item is given to elementary students each month. It will aid in reminding them what is taught in DV on the weekend and assist in the retention of the Bible lessons as kids grow in Christ. Click below to read more about January’s Widget!